I used Fjord Worg Pup. Lil’ Bling, and Sprite Darter Hatchling. 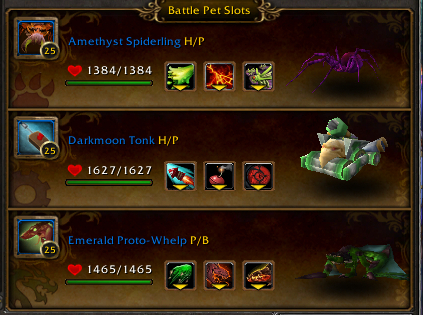 For some reason I don’t have any rare spider at lvl 25, so I had to change the pets, and I just finished getting all the Darkmoon pets this month, I focused on getting the mounts first, it was when I didn’t care much about pet battles and collecting, so they are still lvl 1, so I used Lil’ Bling, it was nice and easy. 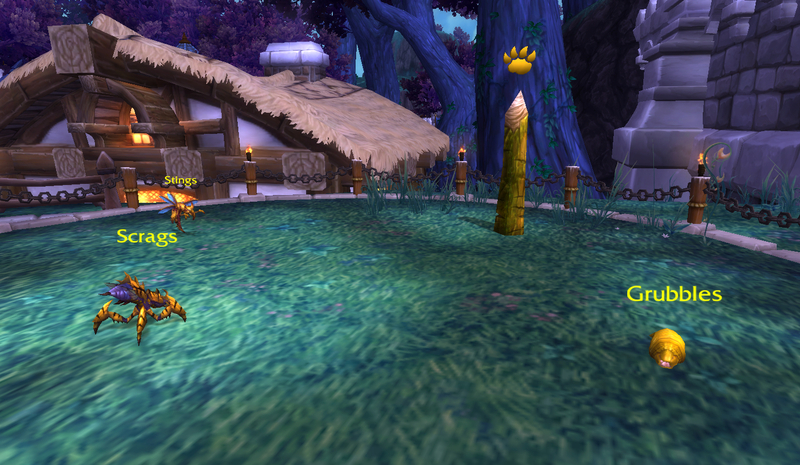 Frostwolf pup, Tonk, and Azure Whelpling. The mines exploded on Stings, then power surge finished him off. He didn’t stand a chance!